SOUTH PADRE ISLAND — Just keep swimming, is a difficult motto to live by for fish without reefs. When they find even the smallest rock, they use it to their advantage. Fish can protect themselves behind it and stay out of the sea’s swift current. Or they can dodge faster, straight-line predators by swimming around the rocks. However, this all proves difficult to do when areas at the bottom of the Gulf of Mexico are just as flat as the top of a table and bare of hiding places. The lack of habitat has led to the death of many fish in the Gulf of Mexico, according to Friends of Rio Grande Valley Reef. For this reason, the nonprofit decided it was time for a change. Friends of RGV Reef is one of six nonprofits named as a 2019 Conservation Wrangler by the Texan by Nature (TxN) conservation for their work in creating “valuable” habitat for fish in the Gulf of Mexico. According to Texan by Nature, Friends of RGV Reef is the largest artificial reef off the Texas coast. TxN will recognize the 2019 Conservation Wranglers Nov. 13 in Dallas at the George W. Bush Presidential Center. Friends of RGV Reef president and director Gary Glick said receiving the recognition is a very “nice surprise” for their “unique” nursery reef concept. 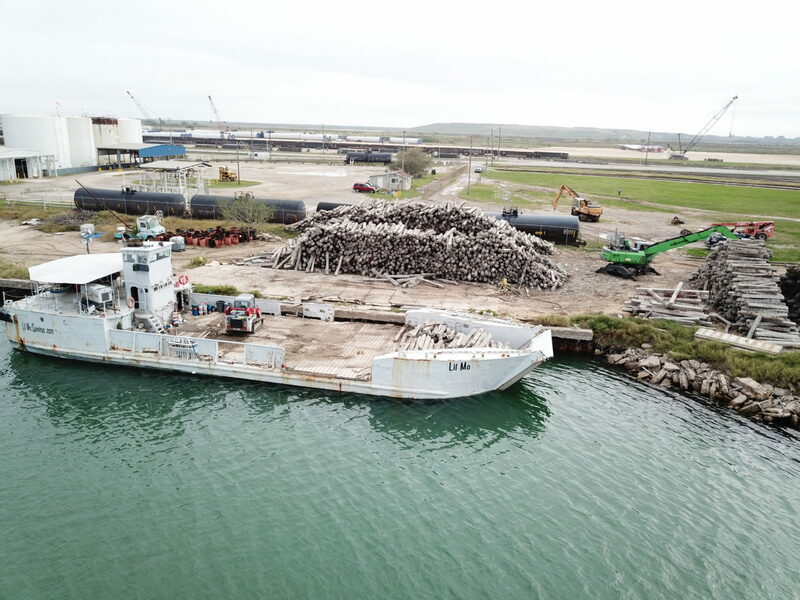 Since 2014, Friends of RGV Reef personnel have been creating habitat for juvenile red snapper and other reef fish by deploying artificial reef materials such as sunken vessels, concrete rail ties and cinder blocks. According to Glick, the fish have grown to catchable sizes and make up 80 percent of the snappers caught on the RGV reef. The remaining 20 percent of fish in the reef were grown elsewhere. According to Glick, the number of fish in the Gulf of Mexico is a small percentage of what it once used to be during the 1960s when he went offshore fishing with his family when he was a child. His goal is to make it possible again for an average family to get their children offshore and be able to catch a fish like he and his brother did when they were children. He says that is becoming more and more difficult as time goes by. In an effort to unite business and conservation leaders who believe Texas’ prosperity is dependent on the conservation of natural resources, Laura Bush founded TxN in 2011. TxN personnel will work with the projects for 12 to 18 months providing tailored aid, resources and visibility.